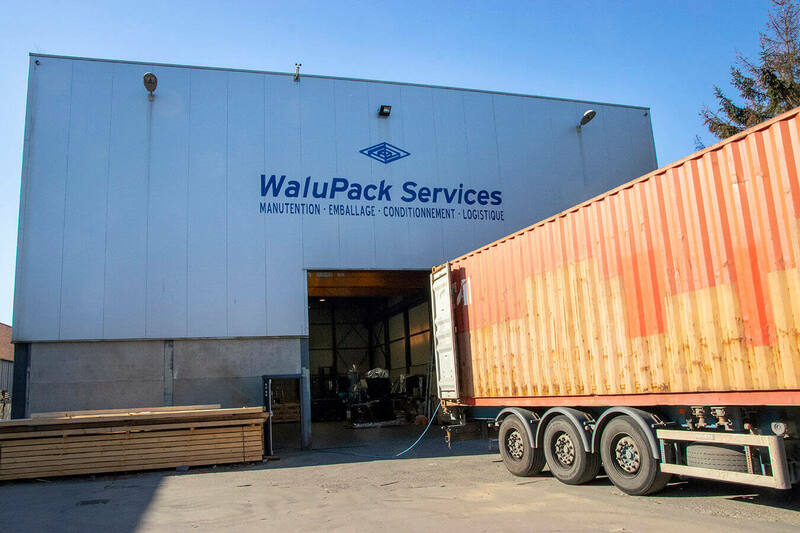 From analysing your project to delivering your wooden boxes, including construction on our site or at your facilities, WaluPack Services offers you a complete, customized packaging solution. WaluPack Services is based in Herstal (near Liège, Belgium). The site has 3,840 m² of covered and secure buildings, ideal for all your needs. But the company often creates packaging directly at your site! Our team of professionals has powerful equipment, made to design and handle oversized wood packaging, sometimes with spectacular dimensions: three 5-tonne cranes, two 12.5-tonne cranes, mobile teams who will pack at your site, a truck for small deliveries, and forklifts. Packaging that meets SEILA specifications.